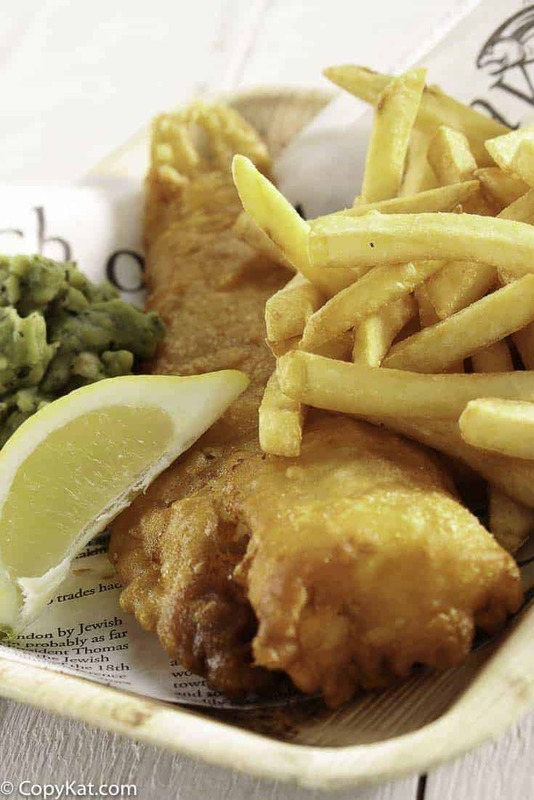 Fish and Chips in Beer Batter is such a classic. The flavor of beer adds so much to the flavor of these fish and chips. This recipe recommends cod, but you could use other types of fish. I do recommend a firm fish because the batter is a little heavy and it my break fish thin pieces of fish. Again, you really can use this with any type of fish. If you are using frozen fish, I recommend that you thaw the fish completely, then blot off the extra moisture the best you can with paper towels. This way the batter will stick onto the fish well.
. This will help me to filter the oil and use it for something else. Often when you fry food the grease becomes dirty. If you filter the oil, you can remove the particles that will burn. Oil will last longer if you can remove particles that are often too small to remove with a slotted spoon. I hope you give this recipe a try! I know you will be amazed at the flavor of homemade beer batter fish and chips. 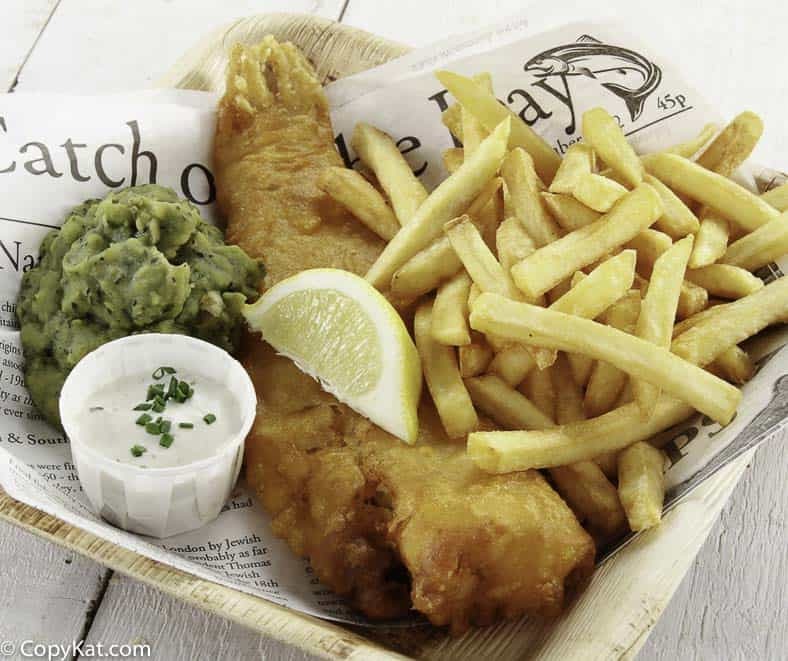 If you enjoy fish and chips, you may enjoy these recipes. Thanks to Dennis Miller, for this recipe. You are going to be amazed at how easy it is to make fish and chips! Directions: Mix flour and a salt in a bowl, make a well. Mix milk with egg slowly. Add egg mix to center of the well and beat until aerated. Set aside. Start heating oil to 375F. Run fingers across fish fillets and remove any pin bones. Slice the fillets into 1" by 3" strips. When oil is up to temperature add beer to the batter and mix in. Dip and coat fillets with batter** and place into oil. Fry to a light golden brown, turning once. Remove and place on paper towels ta o drain. To keep pieces hot, they can be placed in a 300F oven while the balance is frying. *There are other types of cod, known as brown or red, do not use! The texture of meat and amount of natural oil doesn't give you the light flakiness desired. **The batter will appear very thick and heavy, that's ok. As long as you keep your oil temp up, there will be no sponging. Options: Try adding dry mustard, (Coleman's) or hot Hungarian paprika to flour mix. A bit of ground cayenne works too. Chips Peel 5 med. Idaho potatoes, slice into 1/2" square strips by the length of the potato. Rinse in cold water to reduce starch. Leave in water until oil is 375F. Grab a large handful and pat dry with a paper towel until fairly dry, reduces spattering. Place into hot oil and fry until golden brown. Do a handful a time, keeping cooked ones warm in the oven. Assemble plate, sprinkle with a little salt and malt vinegar and enjoy. Please, "NO" ketchup. I don’t know what this sauce is, but I will keep it in mind! Thanks for the share!! I also used to love Arthur Treacher’s breading! Any clues on how they made it?? I would guess it is something close to this. I never ate there, so I can’t say for certain. I have got to try this recipe it sounds delish thanks for sharing.